So guys, starting on 2009, Manuel Le Saux will give us the opportunity to be part of extrema!!! So don’t forget to listen to his show every Wednesday at 20.00 CET and then vote for your favourite track!!! 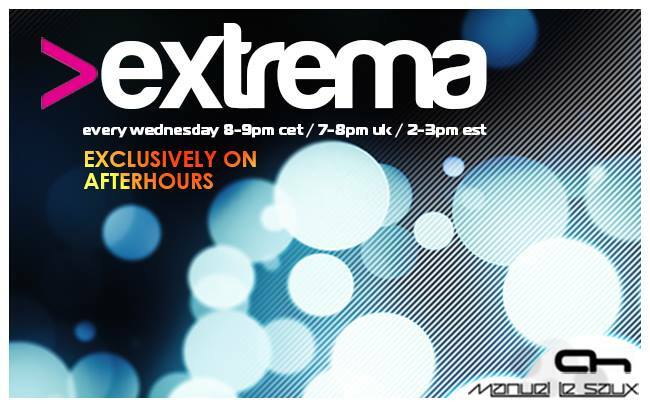 Since now we can decide about extrema tracks too!!!! Definitely looking to start listening to Manuel's shows, it's been a long time coming. Hi guys, just a little tip!!! Starting this week, the extrema winner track will be picked @ AH.FM forum due to manuel le saux's website is under maintenance. It will take a few weeks to build the new website so please be patient and meanwhile.. use this new way to choose your favourite track every week!!! The poll will be open during the last track of the show.